HER2 is gene amplified or over-expressed in 20–25% of breast cancers resulting in elevated HER2 activation. Trastuzumab (Herceptin), a humanized monoclonal antibody, targets activated HER2 and is clinically effective in HER2-over-expressing breast cancers. 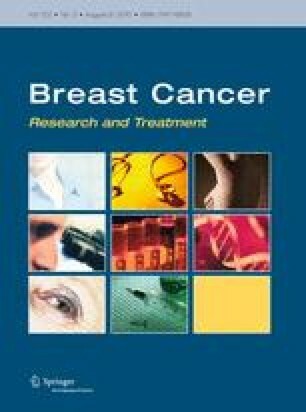 However, despite prolonged survival, treated breast cancer patients develop resistance. Resistance to trastuzumab occurs upon inactivation of HER2 regulatory proteins or upon up-regulation of alternative receptors. In particular, elevated levels of EGFR, present in estrogen receptor (ER) positive, trastuzumab-resistant BT-474 xenografts caused, a trastuzumab-resistant phenotype (Ritter et al. Clin Cancer Res 13:4909–4919, 2007). However, the role of EGFR in acquired trastuzumab resistance in ER negative cell models is not well defined. In this study, SKBR3 cell line clones expressing EGFR were generated to examine the role of EGFR over-expression on trastuzumab sensitivity in an, ER-negative breast carcinoma cell line. A stable clone, SKBR3/EGFR (clone 4) expressing moderate levels of EGFR remained sensitive to trastuzumab, whereas a stable clone, SKBR3/EGFR (clone 5) expressing high levels of EGFR, became resistant to trastuzumab. Depletion of EGFR by EGFR small-interfering RNAs in the SKBR3/EGFR (clone 5) reversed trastuzumab resistance. However, the SKBR3/EGFR (clone 5) cell line remained sensitive to lapatinib, an EGFR/HER2 inhibitor. Biochemical analysis using co-immunoprecipitation and proximity-based quantitative VeraTag assays demonstrated that high levels of EGFR phosphorylation, EGFR/EGFR homo-dimerization, and EGFR/HER2 hetero-dimerization were present in the trastuzumab-resistant cells. We conclude that EGFR over-expression can mediate trastuzumab resistance in both ER positive and ER negative cells and hypothesize that a threshold level of EGFR, in the absence of autocrine ligand production, is required to induce the resistant phenotype. The authors wish to thank John Winslow and Youssouf Badal for their input on the proximity-based assays. Lili Chen helped in FACS analysis. Yining Shi and Sailaja Pidaparthi helped in the initial development of VeraTag assays. Hasan Tahir helped in the synthesis of the VeraTag reporters. Jeff Sperinde helped in setting up a method to calculate analyte concentration by slope analysis.